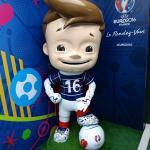 France in London | Euro 2016: let the show begin! Euro 2016: let the show begin! Get ready! The European Championship is less than a month away. The 15th edition of the Euros is taking place between 10 June and 10 July. The stakes are high for France who hosts the Euros for the third time. After 16 years without winning the trophy, Didier Deschamps's Bleus are under pressure to perform and this year, they may have a fighting chance! What will be the team that will make us dream? The final list of players for the French squad will be released on 12 May by Didier Deschamps. In the meantime, the experts predict a squad consisting of goalkeepers Lloris and Mandanda, defenders Sagna, Mangala and Evra, midfielders Diarra, Cabaya, Matuidi and Sissoko and forwards Grizman, Gignac, Giroud and Payet. Karim Benzema will be missing this year, after alledgedly attempting to blackmail Mathieu Valbuena about his sextape. Even if “there is no legal obstacle to his selection” according to the FFF, the apparent involvment of the Real Madrid forward seems to have had an impact on Didier Deschamps’s decision. “The ability of players to work towards unity, in and around the group, is also taken into account by the Federation” their press release said. Recently, Mamadou Sakho made the headlines. The defender has been sidelined by Liverpool and suspended for 30 days on a provisional basis by UEFA. He was tested positive for a type of fat-burner during a Europa League match. UEFA’s decision will be known on 28 May, 16 days after Didier Deschamps announces his selection. We do not know yet whether he will part of the Blues for the Euro. Hosting an international event means lots of change. Some cities have built new stadiums to welcome the hundreds of thousands coming from all over Europe. 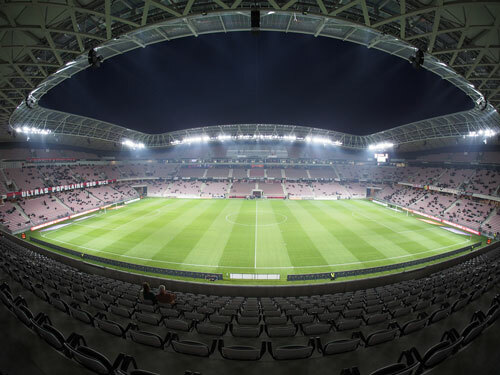 Nice has built the Allianz Riviera stadium for the occasion. Open since 2013, it holds more than 35,000 fans for three group games and one knock-out round. Lyon also opened a new olympic park at the beginning of the year. The stadium 2.0/Elite, with 59,000 seats, will host three group games, a knock-out round and a quarter final. The Grand stade de Bordeaux was built between 2012 and 2015. More than 40,000 people will be able to see four group games and a quarter final. Marseilles’s Vélodrome was also refurbished between 2011 and 2014. The 65,000 spectators will be able to enjoy four group games, a quarter final and a semi-final. Finally, in Lens, the stadium Bollaert-Delelis has been especially renovated for the Euro 2016. From 41,000 seats to 38,200 seats and with a new roof, it will host three group games and a knock-out round. The French team will play its group matches in group A against Romania, Switzerland and Albania. The Blues will start the competition on 10 June in the Stade de France. England will play their group games in group B against Wales, Slovakia and Russia. Whether we live in France or in the UK, we will always be there to support "Les Bleus". Even the band Ski the Use changed Kiss’s "I was made for lovin you" for the occasion. Here is their videoclip while waiting for the Euro 2016 anthem by David Guetta. For more informations, please visit UEFA's website.